Kapuso Primetime King Dingdong Dantes and FHM reigning sexiest woman Marian Rivera surprised the world with their royal engagement on Saturday night during the special birthday episode of 'Marian'. 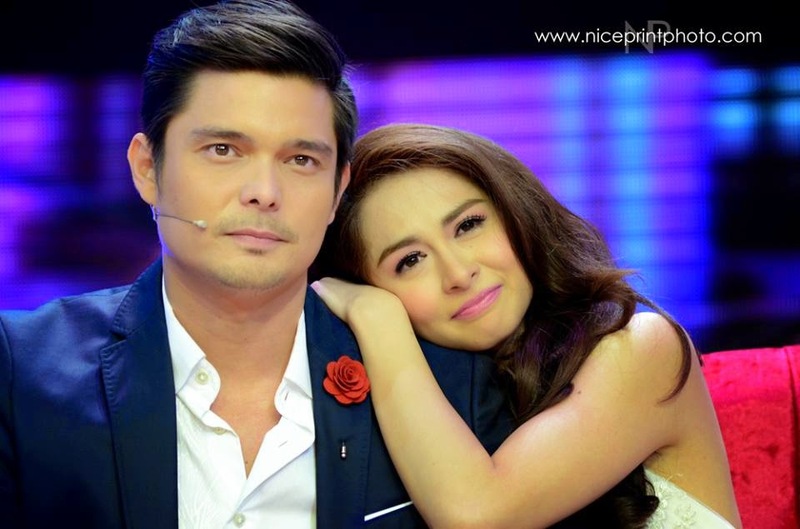 Netizens and DongYan co-stars expressed their happiness for the celebrity couple. Dingdong knelt down on his knees and uttered these words to Marian, "May isang bagay na malinaw sa akin. It's that I want to spend the rest of my life with you. Gusto kong ipagsigawan sa buong mundo na ikaw ang sagot sa aking mga dasal. I offer you this gift on your Birthday, something that's beyond anything. I offer you myself, my love, today and all the days of my life. So please, Marian, will you be my wife?" Congrats @iamdongdantes and Marian on the engagement!! Its about time! ...so dingdong just proposed to marian on national tv!!!! gaaaa! kiliiiiiig! congrats guys!